Choosing the best smartwatch isn't an easy task in the crowded fitness wearables market. New designs, with an ever-expanding range of features, are increasingly challenging classic watches. 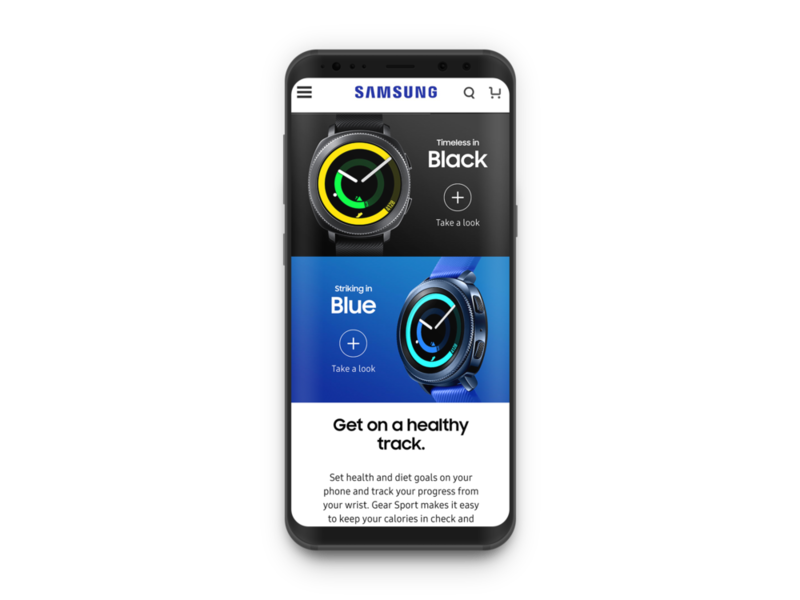 After the big, brash, and bulky Gear S3, in 2017 Samsung refocused its efforts on a leaner, simpler watch line dedicated to its sport and fitness users. The new Gear Sport was Samsung's best ever all-around smartwatch. It was notably smaller, lighter, and more colorful than the Gear S3. It synced Spotify tracks offline, integrated with Speedo and MyFitnessPal, was waterproof down to 50 meters, and featured a host of other customization options. 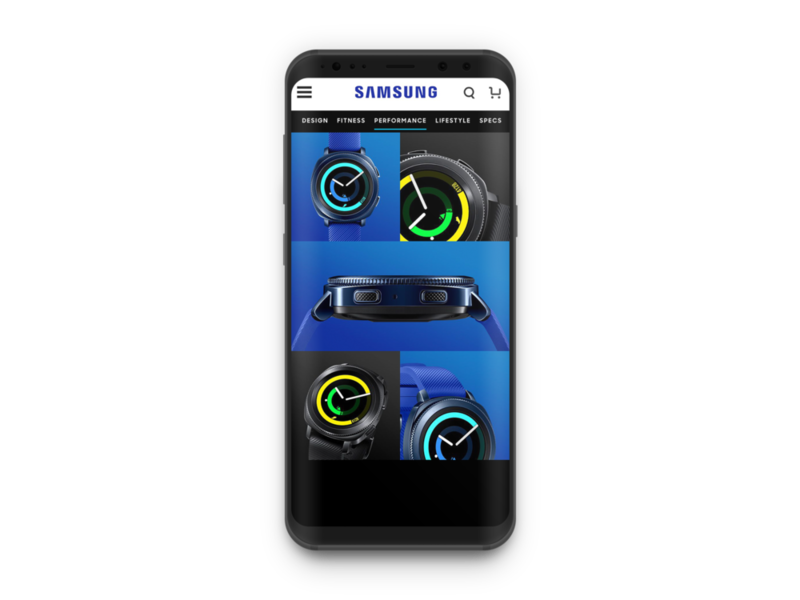 Our UX team designed a new online experience for the launch of the Gear Sport that showcased its freshness and ease of use. 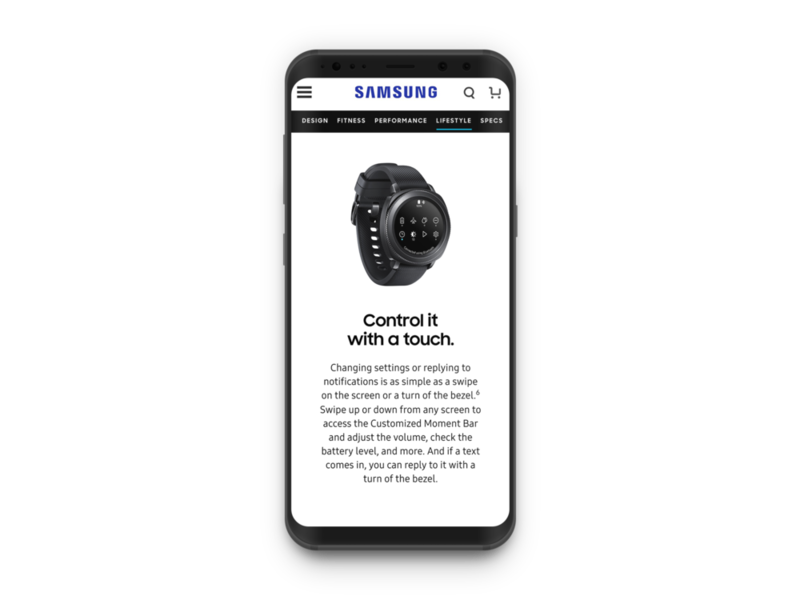 The mobile site captured the watch’s modern design and colorful options embedded in the watch's mechanical and digital interfaces.